Hamilton Company is a global enterprise with Headquarters in Reno, Nevada; Franklin, Massachusetts; and Bonaduz, Switzerland, and subsidiary offices throughout the world. We are an industry leader in the design and manufacture of liquid handling, process analytics, robotic and automated storage solutions. 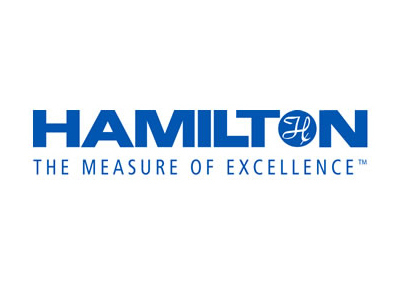 For more than 60 years, Hamilton has been meeting customer needs with a combination of quality materials and skilled workmanship that ensures the highest level of performance. Hamilton’s continued commitment to Precision and Quality has earned the company’s global ISO 9001 Certification.